I am very proud to announce a new partnership with GORE RUNNING WEAR! From January 2015, ultra trail runner, Sondre Amdahl, will be wearing GORE RUNNING WEAR® at races all over the world. The running apparel manufacturer is equipping the Norwegian athlete with its X-RUN ULTRA line, which was designed specifically for trail runners competing in races. Sondre Amdahl is currently ranked sixth in the 2014 Ultra Trail World Tour. His experience and feedback will make a significant contribution to future product development. Sondre is also delighted about his new gear for the coming ultra season. “These really are first-class products – it’s going to be an interesting year. It’s about more than just apparel for running – for me, running apparel is equipment, the equipment I need to be successful,” said the 43-year old. Whether cold, damp, hot or windy – with products from the X-RUN ULTRA collection such as jackets, base layers, vests and shorts, Sondre has the ideal equipment for the diverse conditions he will be up against. His objectives for 2015 include the Transgrancanaria, the Western States 100, the GORE-TEX® Transalpine Run and the Ultra Trail® Mt. Fuji®. The year is already off to a good start, in his first race with GORE RUNNING WEAR®, the Hong Kong 100 on January 17, he took second place. 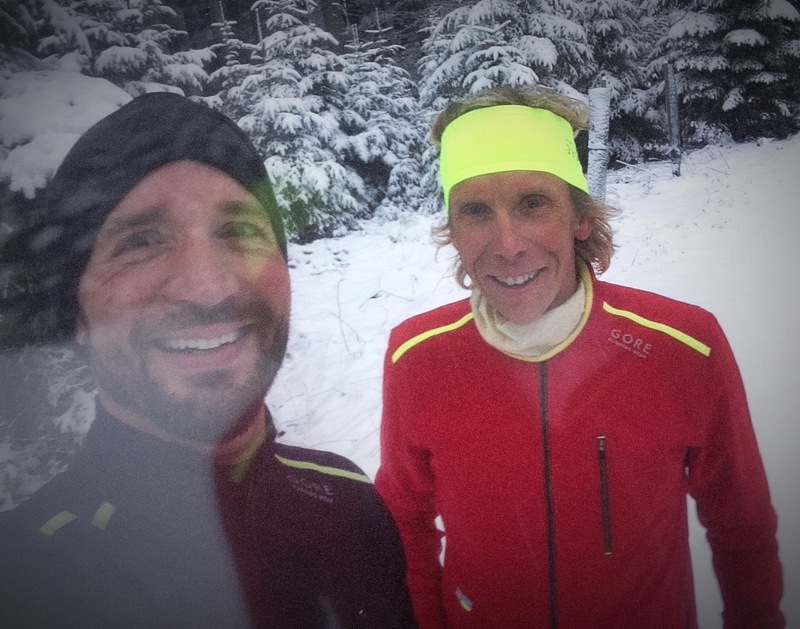 Patric Gördes, Communication Manager GORE RUNNING WEAR® and myself i Germany in December. With its running clothes line GORE RUNNING WEAR®, membrane specialist W. L. Gore & Associates GmbH stands for high-tech function and durable premium quality. The company is a pioneer in the running segment for highly functional clothing systems, and with GORE RUNNING WEAR® it repeatedly manages to set new standards, allowing runners to improve their performance and offering optimum protection. Congrats Sondre, good deal for both Gore and you alike. I’m certain you’ll have lots of good stuff to contribute with on product development.